WHEN trend'ainment was about commending McAnthony Onyegbule (aka Okey Bakassi), the Executive Assistant to the Imo State Governor on Entertainment for initiating the Heartland Xmas Choral Nite, the ace comedian wittingly or unwittingly, goofed it. The event which was scheduled to start by 4pm never really took off in the real sense, until about 7:30pm. By this time, not one commissioner was present at the venue. Pini Jason was the only Special Adviser sighted at the time. 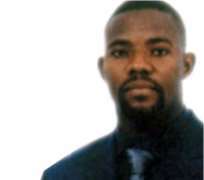 In spite of the fact that Bakassi shared invitations to the event even during the swearing-in of board members at the multi purpose hall and at the dinner in the Government House banquet Hall for representatives of the Royal Oak refinery, he still displayed a total lack of experience in organizing a government function. It was obvious that Bakassi who apparently had no idea of the protocol list of the government house, chose not to delegate roles. Bakassi was the organizer, the mobilizer, the master of ceremony and he even said the opening prayer as well. (perhaps, as the spiritual father of the day). In spite of the millions of naira said to have been allocated to the event, only about nine bottles of wine and dozens of bottled water were visible in the hall. Trend'tainment stumbled upon a table of guests at the front row, who were complaining that following the absence of dignitaries in the front row, Bakassi had in a rather petty move directed a girl to come and remove the one bottle of wine on their table. Speaking to guests who were leaving the hall, Trend'tainment observed that Bakassi was unable to define his audience, as the monotony of the presentations of the Abuja choral group became a bore at a point. Hence, as two persons walked into the hall, four left out of boredom. However, the duo of Uche Ogbuagu and John Okafor (Ibu) gave a measure of momentary lift to the event but could not entirely save the day.